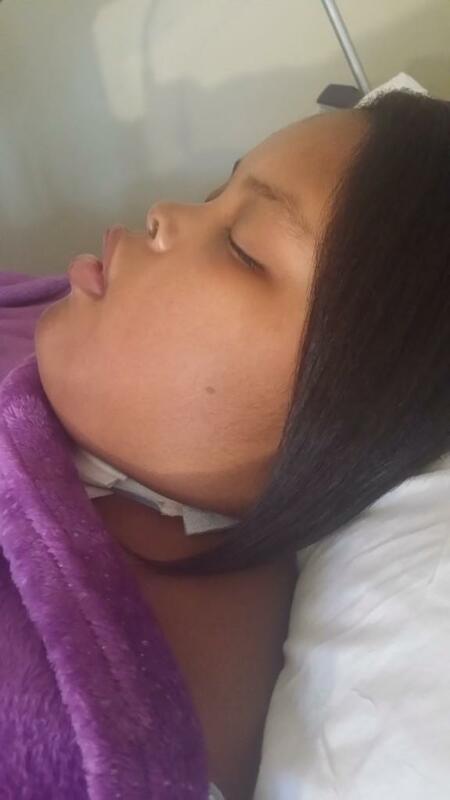 Jahi McMath…A Miracle Or Bad Science? Thanks to all of you who have been sending me email links to the recent news of Jahi McMath. I have been following the reports since the lawsuit was filed by the families attorney on Tuesday. Jahi was pronounced “brain dead” late last year. As the organ donation people circled her mother to give her organs to someone in need, the mother stood fast in her determination that her child was not dead. The only thing that kept her on a ventilator was going to court and getting a judge to release her into the care of her mother at another facility. It turns out that facility was in N.J where they honor a families request of not accepting the diagnosis of brain death based on religious grounds. Before she was released from Oakland Children’s Hospital, she was given a death certificate by the corner in the California. Many of the “experts” have been saying on blogs and forums that her body would shut down and disintegrate, calling her a cadaver. However, this has not happened. It now appears she is responding to commands, has blood flow to the brain via an EEG and a MRI test. Tests and examinations of Jahi have been performed at Rutgers University in New Jersey with brain researchers and neurologists reviewing and performing them, Dolan said. Those working with the International Brain Research Foundation include Elena Labkovsky, who performed an EEG on Jahi, Cuban neurologist Dr. Calixto Machado and Dr. Charles Prestigiacomo, chair of the department of neurological surgery at Rutgers. DeFina, who joined Thursday’s presentation by video, said an MRI shows Jahi’s brain is intact and that there is blood flow to it. He said tests show Jahi does not fit the criteria for brain death, though he would not say if that means she is in a persistent vegetated state or some other state. Jahi McMath is continued evidence that a brain death definition is simply a tool of a fast growing industry that is aggressively attempting to fulfill the requests for healthy organs for transplants. For human organs to be successfully transplanted into another human being they must be fresh or vital which means being removed from a body that is still alive, is still functioning. Organs from a dead body, a cadaver, are of no life-preserving value to another living human being. When brain death was first invented at Harvard University in 1968, EEG’s were recommended. They are no longer used to show blood flow…well maybe in smaller rural hospital’s but not in huge transplant centers. Advocates of brain death always contend that the condition is irreversible, giving the families involved no hope, telling families there is no possible chance of recovery.However, patients who have been pronounced brain dead are still living humans who are perhaps dying from a catastrophic injury to the brain and yet should not be treated as cadavers. Jahi was pronounced brain dead by three different doctors in California. Now three or more doctors are saying she is alive and not brain dead. Although many people have awakened from a brain dead diagnosis, the physicians have ALWAYS said it was wrongly diagnosed. If the reports are true about Jahi and I have no reason to believe they are not, will they admit now that people do recover from a diagnosis of brain death? Medical Director of Mayo Clinic in Arizona Mohamed Rady and JL Verheijde have advocated for the general public, medical community, legal and religious scholars to debate impaired consciousness and brain death. Jahi has healed from her tonsilectomy surgery. No dead body has the capability of healing itself. If there is any miracle involved, said Byrne, it is the fact that Jahi’s mother has been successful in keeping the organ donation industry away from her daughter. Knowing what I know of other families who were pressured into donating their loved one’s organs, many living with horrible regrets…I have to agree that IS a miracle that Nailah Wakefield has been able to do that.